Good morning everyone! Let's start this morning with a clean heart and welcome each day with a smile. Merry Christmas! 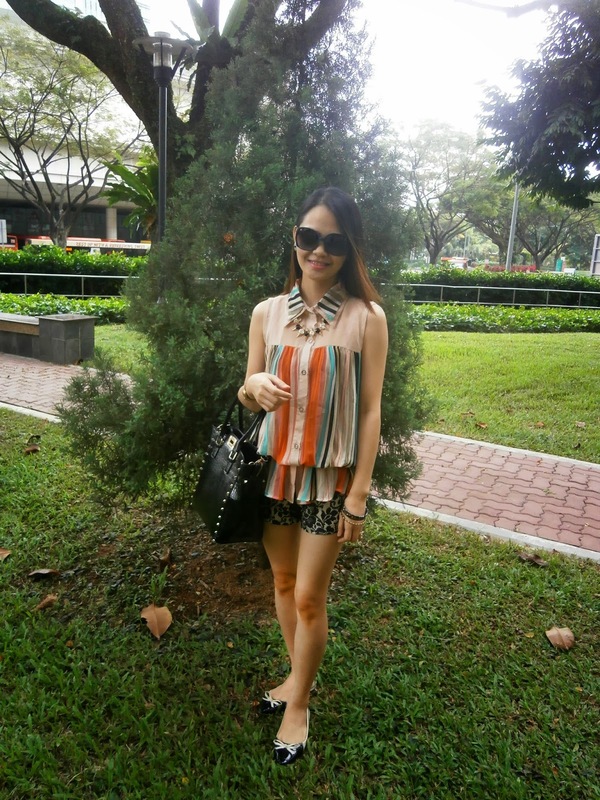 I'm wearing a striped long blouse, one of my favorite pieces. It can be restyled to a top and mixed with a skirt and jacket. I paired it with lace shorts and two-tone classic ballerina shoes. Finished off my look with bejeweled necklace, bangles and black bag. Beauty will not be defined by what you wear. You can wear the best clothes and shoes but having a good spirit on the inside will make you look like you can rock the world.